On April 7, 1862 at the famous Civil War Battle of Shiloh, Sam Houston Jr., son of the famous Texan, was struck in the back by a bullet. He was knocked to the ground and would likely have died had it not been for his mother’s Bible that he carried in his knapsack. Pastor Doug: Welcome once again listening friends to a fresh installment of Bible Answers Live. And if you’re tuning in for the first time, this is a live, international, interactive Bible study, you’re welcome to participate. If you have a Bible question, you can call the toll free number, that’s 800-463-7297. This would be a good time to make that phone call. Any Bible question that has been tickling your curiosity and you’d like to understand why does God saved us in His word, or why does the Bible teach this, then pick up the phone now and call 800-GOD-SAYS, 800-463-7297. And we’ll search for the answers together. My name is Doug Batchelor. Pastor Jëan Ross: My name is Jëan Ross. And good evening listening friends. Pastor Doug, let’s start the program with prayer. Dear Father, once again we thank you that we’re able to gather together to study your word. We pray your blessing on tonight’s program. Be with those who are listening, those who call in, give us wisdom as we search the Scripture, in Jesus’ name, amen. Pastor Jëan Ross: You know we were talking before the program, Pastor Doug, about the many occurrences of people whose lives have been saved by a Bible. There’s many stories about soldiers who have been shot but like the fact that started the program, their life was saved by the Bible. Pastor Doug: It makes me think of that verse that tells us in the Psalm 119; verse 114, of course, that’s the longest chapter in the Bible, “You are my hiding place and my shield; I hope in your word.” You know, the Bible teaches “thy word I’ve hidden in my heart that I might not sin.” The word is a shield against sin and it’s also a sword against sin. You can read in, of course, the gospels where when the temptation of Christ occurred, all three times that Jesus was tempted by the devil, He met every temptation by saying, “It is written, it is written, it is written.” And so the Bible for the Christian is one of the most important parts of that armor of God that gives us the defenses against temptation. And that’s something I think what applied to everybody listening. We all battled with temptation. The Bible tells us that within all of us, we’ve got this conflict that goes on between, the Bible calls it the Spirit and the flesh or the spiritual mind and the carnal mind. And the word of God gives us an armor to protect us. It’s like it talks about those fiery darts, you put up the shield of faith and the word of God is sharper than a two-edge sword. And maybe some of our listening friends would like to know how they can get a hold of that free suit of armor that God is offering. Matter of fact, it’s His own armor, it’s called the “Armor of God” and He’s willing to share it with us. We have a special offer for anybody tonight who would like to know what is this “Armor of God” to protect us against these flaming arrows? And how do we get it on? Pastor Jëan Ross: Well, you wrote a book, Pastor Doug, entitled, “The Armor of God,” and it deals with this important subject. Without the “Armor of God,” the devils can beat us up. Pastor Jëan Ross: But with the “Armor of God” all things are possible. 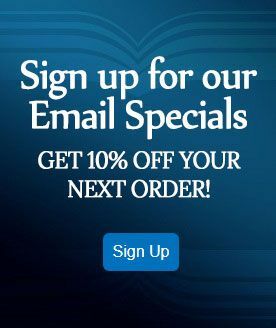 To receive that free offer, call 1-800-835-6747, 1-800-835-6747, ask for the book, “The Armor of God” and we will be happy to send that to you. Pastor Doug: I should have call that the heavenly Kevlar. Let’s say I get to ring to it. Pastor Jëan Ross: There you go. Alright, going to the phone lines, David is calling from Richmond, California. David, you’re on the air. Pastor Doug: Hi, thanks for calling. Get real close to your phone. David: Okay. I was a caller who called last week. David: I was your first caller. Do you remember what I told you about Acts 2? Pastor Doug: Oh, you asked about heaven again. David: Yeah. What are we going to do when we’re done with our life? Pastor Doug: You mean when we’re done with the-- I don’t know. David: Building the houses and everything. Pastor Doug: Well, what are we going to do through eternity? Well, I’ll tell you, there is no limit. Let me give you an example of what I’m talking about. Pastor Doug: Every year that goes by, they invent telescopes or they modified the telescopes so they are looking deeper and deeper and farther and deeper into space. And the more that they look into space, they don’t find more nothingness. What they once thought was just a star, now they no looking at that star, that the closer they get it’s actually a galaxy of stars and some of these stars that you look out at night, they are not stars, they are two hundred billion stars that create one pin dot. Now if you think about how long it would take you to explore limitless space with all the God has created--and God continues to create--you will never get tired of looking at the wonders that God is making. And so there’ll always be something to do in heaven and we’re always going to be-- you know, God is so infinite even studying the character of God and our relationships with each other will continue to get deeper. Let me give you one more thought, David. You’re still with me? David: Yeah, I’m still with you. Pastor Doug: Alright. One of the things that disproves evolution is that evolution teaches that, you know, as a need arises, then something evolves. Lizards kept running off cliffs and they’d hurt when they fell on the ground so they develop feathers, I mean, you know, hypothetically that’s what they teach. But they can’t understand why do humans have sixty percent more brain than they use in one lifetime. Why would humans ever develop so much more brain than they can ever use in one lifetime? And the answer would be--and of course, you know, most people only use a fraction of their brains, they’re into answers that we’re going to be continually learning through all eternity. Pastor Ross, do you have a thought? Pastor Jëan Ross: There is always something new, always something that will satisfy. In heaven we will never run out of doing what God wants. Pastor Jëan Ross: The number is 1-800-835-6747, ask for the book, “Heaven: Is It For Real?” And we’ll be happy to send that to you. Our next caller is Ernest, listening on the internet from Hamilton, New Jersey. Ernest, welcome to the program. Ernest: Thank you. I have a question. I understand reading Acts that Paul the Apostle had a tremendous problem in convincing the Jewish Christians that they don’t need to follow the Mosaic Law. Pastor Doug: Okay. You’re thinking about like Acts 15? Ernest: …and in Christ who’re preceding ceremonial laws. However, here’s the question I have. Ernest: …how do the Jewish people themselves, how can they come to find the remission of sins? They can’t make any sacrifices, they evidently do not accepting the new terms that there’s temples in heaven and that our high priest is Christ. 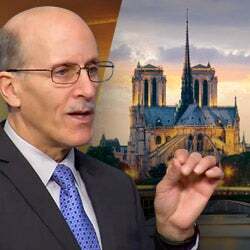 Pastor Doug: You know, that is a good question because it is true that in the interval of the last eighteen hundred years or nineteen hundred years since the temple was destroyed, more than that actually, that the Jews have not been able to offer sacrifice. 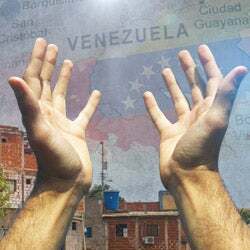 And since they were overthrown by the Romans and dispersed around the world their theology basically has been modified so that they are able to have redemption without-- you know, they believe that just through prayer. But I don’t know if any sects of Jews that are sacrificing lands on a regular basis. There are Orthodox Jews both in Jerusalem and even in New York City that still have their Passover sacrifice but they don’t sacrifice. Most of them go to the store and they buy lamb or they buy kosher lamb. So it’s changed, it’s not like they applied the blood anymore. And the only answer I’ve got for that is they have, you know, over the centuries adjusted their theology where they have pretty much removed the necessity. Ernest: Yeah, it seems that they more or less have developed a philosophy that more than a religion. Pastor Doug: Yeah. Well, you know, one of the prophecies about the Messiah, it says in Daniel chapter 9, “That he would cause a sacrifice in the oblation to cease.” And you could really look at when Jesus died in 31 A.D. from that moment on even though the veil on the temple was ripped from top to bottom the sacrificial system began to decline until the temple was destroyed. And really the pivotal point was the sacrifice of Christ. And so they don’t sacrifice today. Now we have a lesson dealing with the subject of that date when Christ died and the temple being destroyed. And it’s talking about God sets a date for the judgment. And we’ll be happy to send you a free copy of that, Ernest, if you would like. Pastor Jëan Ross: All you’ll need to do call our resource line, that’s 1-800-835-6747 and ask for the study guide. Pastor Doug: “Right on Time” is the new time. Pastor Jëan Ross: Okay. “Right on Time” and we’ll be happy to send that out to you. Our next caller is Josephine, listening on the internet from Texas. Josephine, you’re on the air with Pastor Doug. Josephine: Hi, Pastor Doug. Hi, Pastor Ross. Josephine: Okay. My question has to do with something that you said, Pastor, last week on the “Bible Answers Live.” It was near the end of the radio show and you said something to the effect that the Holy Spirit--hopefully I’m quoting you correctly--The Holy Spirit fertilized Mary’s egg in order, you know, for Jesus to become. Now my thought on the matter is slightly different. Why couldn’t the Holy Spirit use Mary as a surrogate rather than using her egg, so to speak, to make Jesus? Does that make sense? Pastor Doug: Yeah, I understand what you’re saying, that’s also a good question. The reason I believe that something of Mary was in the DNA of Jesus is because you look at the genealogies they give and they use the genealogy of Mary and Luke. It follows the genealogy of Jesus all the way down to Mary’s father who is Joseph’s father-in-law. And if there was no humanity at all Jesus, then Christ wouldn’t have even needed to be born by the traditional means. But the conception-- the Bible tells us it was the Holy Spirit involved in the conception, something of humanity was in Christ. And it obviously must have come from the mother. Does that make sense? Josephine: …how husbands and wives, if they can’t, you know, conceive on their own, they still take a piece of the husband, a piece of the wife and, you know, use the zygote and then input it into the surrogate. Pastor Doug: Well, you know, the first person ever born, God used the man as a surrogate, Adam. He took a rib, isn’t that right? Pastor Doug: The first person ever born from another person, it was a woman coming out of a man. Pastor Doug: Every other man is come out of a woman. Pastor Doug: So, God, He could do anything he wants. Josephine: Okay. That makes sense. Pastor Jëan Ross: But there is something to the fact that, you know, Christ refers Himself over and over again as the Son of Man. Pastor Jëan Ross: Son of man. So there was something that He received from Mary that human nature that connects Him with humanity. Pastor Doug: That’s a good point. Josephine: Okay. Thank you so much. Pastor Jëan Ross: Oh, that would be a good one. Pastor Jëan Ross: 1-800-835-6747, ask for the book, “Down From His Glory.” Henry is listening on WMCA from New Jersey. Henry, you’re on the air. Henry: Yes, how you folks doing? Henry: And I just was wondering, is that part of Hebrew poetry that they used a female gender there or why did they do that? Pastor Doug: Well, you know, I think it’s probably related to the principle that even a church is liken to a woman in the Bible. All through the Bible you see that there’s the shadows of a story, all the way through the Bible starting in Genesis chapter 3; verse 15 with the first prophecy where it talks about the woman and the serpent and the seed of the woman. This is conflict between the woman and the dragon and the woman and the serpent. And you see it all the way down to Revelation chapter 12, matter of fact, you know, most of these medieval stories about, you know, women in distressed being held captive by dragons and rescued by some knight and shining armor, all of those stories spring from this theme in the Bible. And so a woman is typified as a church, the bride of Christ is a woman. Pastor Doug: And truth is supposed to be coming from God’s people. And so the female was often used and, you know, let’s face it, women are the great nurturers, they’re the protectors, they’re the providers in the infancy and during birth. And so I think that Solomon and his wisdom is using the female gender to identify. Pastor Jëan Ross: It could have also perhaps be that, you know, in a marriage the bride or the wife is precious to the husband, it’s the most sacred bond. And wisdom to the Christian is precious. It’s something that must be pursued. Pastor Jëan Ross: Something that you want to cherish. Henry: …the way it just get off in his business with God is a female and that’s Mother Earth, mother this, mother that. Pastor Doug: You’re right. You know, I think that is a big counterfeit that the world is putting up for the bride of Christ, they are calling that, you know, Mother Earth as the nature is to be worship. Pastor Doug: Instead of the one who made the nature. Pastor Doug: Appreciate your question, Henry. Thank you. Henry: Thank you very much. Pastor Jëan Ross: Evelyn is listening on the internet from Brooklyn, New York. Evelyn, you’re on the air. Pastor Doug: Hi, Evelyn, welcome to the program. Pastor Doug: Oh, I’m sorry. Eva. Eva: My question is, is cancer an epidemic? It has the sign of the last days. You find a lot of Christian now is dying from cancer. Pastor Jëan Ross: Matthew 24; verse 7. Pastor Doug: Yeah. Why don’t you read that for me? Pastor Doug: Yeah. Pestilences is a plague but cancer has really become an epidemic. And I do think it’s a sign of the last days. I have a personal theory-- well, I think there’s probably some good scientific support for this that most of the plague of cancer springs from the modern lifestyle. If you go to more primitive countries where they don’t have all the chemicals in their food and they don’t have all the sedentary life that they have in this first world countries, they don’t have nearly the high rates of cancer especially, you know, men, they have the prostate cancer, women just exploding breast cancer rates that they didn’t have a hundred years ago. So, you know, it is something of a plague in the last days. Eva: Eva, E-V-A. I don’t like calling my niece. Pastor Doug: Well, it’s like the diet of Adam and Eve, that’s right. Eva: No, I’m saying my name is Eve in the Garden, yeah. Pastor Doug: Eve. Oh, okay. Well, then, you will enjoy this book that’s called “Death in the Kitchen.” All you’ve got to do is call the toll free number and we’ll send you a free copy of that. Pastor Jëan Ross: That’s an intriguing title, “Death in the Kitchen.” And it’s a great book. Pastor Doug: It’s not something you want to give your wife. You could be misunderstood. Pastor Jëan Ross: The number is 1-800-835-6747, ask for the book, “Death in the Kitchen,” we’ll be happy to send that to you. Our next caller is Bert, listening on WMCA from Brooklyn, New York. Bert, welcome to the program. Bert: Yes, good evening. I have a question for you. And also I want to know why we as Christians and the churches have not really emphasized the basic teaching of God? As Hosea said, “My people are being destroyed for the lack of knowledge.” Now the basic teaches of God, according to the Bible it says that the greatest commandment of all is love, love the one another. And yet all denominations have not emphasized on loving for one another which is preserving of life and do things for the good and wealthy of mankind. But (inaudible 21:11) going to heaven we should know we are not really going to have (Unintelligible) in John 14, we called the place for us. Pastor Doug: You know, Bert, we’re going to run out of time. What’s the question? Bert: The question is why haven’t spend more time than people know that we could have learn to preserve life in this world instead of destroying life and blessings to destroy life instead of doing things for the good and wealthy of mankind? Pastor Doug: Well, let me read what Jesus says, a great commandment is, and the several places you can quote this. In Luke chapter 10; verse 25, “A certain lawyer stood up and tempted or tested Jesus saying, ‘Master, what shall I do to inherit eternal life?’” And, Bert, I think that’s what you’re talking about. And he said unto him, “What is written in the law? How do you read it?” And the lawyer answered and said, “Thou shall love the Lord your God with all your heart, with all your soul, with all your strength, with all your mind and your neighbors as yourself.” And Jesus responded to him, “You have answered right.” Now there’s a number of other verses we can go to that teach out the same principle that this is a great. Of course they’re quoting Moses, so it’s not like it’s a new commandment but-- and Paul says this, and Jesus repeats it again in Mark chapter 12, “Loving the Lord with all heart is really a summary of the Ten Commandments.” Now what you’re saying, Bert, is true that part of the Ten Commandments is to preserve life. And, you know, it’s one of the Ten Commandments is “thou shall not kill” and I think that, you know, not only should we have respect for human life and not murder but I think God wants man as stewards of the planet to be faithful and to be responsible. So that’s part of loving your neighbor and loving God, having respect for what He’s made, having respect for the environment that other s live in, that all fits into the same principle. But that is the great commandment, you’re right on track. Appreciate your question, Bert. Pastor Jëan Ross: Might have just missed in here. Pastor Doug: We’re sorry. Henry, please call back. We’ll go back to your call. Pastor Jëan Ross: We’ll try and get that one back. Cressida, listening on WMCA from Brooklyn, New York. Cressida, welcome to the program. Cressida: Thank you and good night everyone. Cressida: Yes. My question is, a person that lives his life without Christ all their whole life and they God seek on their dying bed, they ask God to save them, would they be saved? Pastor Doug: Well, they could be. You know, of course, you’ve got that one experience there of the thief on the cross, you find in Matthew 23, I believe it is, where he accepts Jesus in the last hours of his life. And Jesus says, “You will be with me in paradise.” So, you know, it’s dangerous for a person to say I’m going to wait to the last hours of my life to repent and somebody said, I think it was Matthew Henry in his commentary, he said, “There is one example of a deathbed conversion in the Bible so that nobody would lose hope. But there is only one example, so nobody would dare presume.” It’s dangerous for us to say, “Well, I’m going to wait ‘til the end of my life.” But anybody who genuinely repents, God will forgive. Pastor Jëan Ross: So someone might cried in fear realizing that they’ve wasted their life. Pastor Jëan Ross: But it’s not a sincere confession, it’s not a genuine repentance where if they were spare from that terrible situation they would change their life. Pastor Jëan Ross: Because only God knows the heart. Pastor Doug: Yeah. Some people have, you know, a little fox hold fear when they get on their deathbed. Pastor Doug: And that doesn’t necessarily mean that, you know, just saying a few words is going to give you your last rights and that their hearts have renewed. But there are people who have genuine repentance and conversion on their deathbed and they’ll be on the kingdom. Pastor Doug: But anyone listening don’t wait for that. I mean it’s much better to serve God when you’re in your health and prime. Pastor Jëan Ross: And all you’ll have to do to get that is call our resource line 1-800-8635-6747 and ask for the book “Three Steps to Heaven,” and we’ll be happy that send that you. 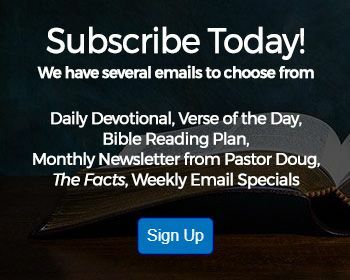 Pastor Doug: You know, Pastor Ross, we also have that book--I don’t know that we’ve offer in a long time and it talks about the thief on the cross and this deathbed conversion and it’s called, “Crucified with Christ.” And either one of those, Cressida, you could call. Pastor Jëan Ross: Alright, let’s see if we can get one more call in before the break. Keith is listening on his cell phone, listening from KPVA radio station. Keith, welcome to the program. Keith: Thanks for taking my call. Keith: Well, there’s a couple of things I wanted to ask you but first thing was, I lost my father to cancer (inaudible 26:23) aortic valve. What I wanted that was, you know, they say that, when you die you go to heaven and you’re judged. But during the rapture I’ve been told that Jesus comes back and He call all souls from the grave. So, are people going on to heaven as they died now or they rest in their grave until the time comes that they call home? Pastor Doug: Well, when people die, if they are saved their next conscious thought is the resurrection and being on the presence of the Lord. But here on earth we still live in a dimension of time that the second coming of Jesus and the resurrection hasn’t happen yet. And this is what confuses people, is they say well, you know, if you’re saved don’t you go to heaven when you die? For the person who dies that is their next conscious thought. But for the time that we live in here in this world Jesus has not come yet, they have not gone to the reward because the Bible is very clear, “That the resurrection happens at the coming of the Lord,” 1st Thessalonians chapter 4, 1st Corinthians chapter 15 and you could also go to Revelation chapter 20. There’s many, many verses. And the judgment hasn’t happened yet either. So, you know, for us right now, our loved ones are sleeping in a dreamless asleep. For our saved loved ones we can rejoice with them because their next conscious thought is the presence of the Lord. That’s the key. You know, people get confused because they read these verses from the perspective of the person who died. And they forget that well, they’re not up there looking down on us now because their resurrection hasn’t happen yet. So I hope that helps a little, Keith. Go ahead, Pasto Ross. Pastor Jëan Ross: I was just going to mention the study guide that will be very helpful in this. Pastor Jëan Ross: It’s called, “Are the Dead Really Dead?” And, Keith, if you’d call our resource line, we’ll be happy to send that to you. It deals with the subject of death. The number is 1-800-835-6747. Pastor Doug: Yeah. And then we’ve got that book, “Absent from the Body” by Joe Crews also. And that frees up another phone line. Hey, friends, you know what, I think we’ve gone almost half an hour. We’re halfway into the program and miracle of miracles we haven’t mention the website yet. So much of what you’re hearing and much more can be found at the mothership of the Amazing Facts program it’s called, amazingfacts.org. Take a look. We’ll be right back. Pastor Doug: We are back and for anybody who may have joined this along the way, what are you listening to, you’re listening to a live international Bible study. We invite you to call this toll free number and ask us any Bible question. And Pastor Ross and I have a kaleidoscope of Bible study resources at our fingertips. If you wanted to have a little view of the studio, you know, maybe someday we’ll put this on satellite not that it would be visually that edifying to look at us but they could see what’s going on in here. Well, we’ve got our laptops in front of us and some great Bible software and we search for the answers and do our best and of course, we have some on the tip of our tongue because we’ve been doing this for few years. So if you’ve got a Bible question, I think we got one or two lines open, call the toll free number 800-GOD-SAYS, that stands for 463-7297. And I’m still Doug Batchelor. Pastor Jëan Ross: And I’m Jëan Ross. Pastor Doug, you just before the break mentioned Amazing Facts website, of course, that’s filled with all types of great resources but we also have some other great websites. And we want to let the folks know about it. Pastor Doug: You know, if you study Bible prophecy, friends, there are two or three websites I especially like to recommend. Grab a pen, grab a pencil, hopefully, if you don’t have that you’ve got a good memory. Just remember the word “prophecy code.” If you type in prophecy code it’s going to take you to a website where you’re going to see a series of presentations dealing with last day prophecy good, solid biblical support and none of the wild sensational, fantastic-- oh what’s the word for-- you know, some of the fantasy things that are out there. This is good, solid biblical theology that commentators have belief for years. And what we can expect in the last days biblically and we are in very serious times. Another one would be, mostamazingprophecies.com, just type the whole thing out, Most Amazing Prophecies. If you Google that, it will take you to another prophecy website. And then we’ve got the millennium of prophecy series. This is the series that was done right at the turn of the millennium. From New York City, it was broadcast around the world. And I came back from Phoenix this morning, I was at a Christian camp meeting there and people said, “You know, we’re still watching these programs from the ‘99 series that we did in New York City. So there’s some resources that will help you in your Bible study. We also have study guides that go along with them but you owe to yourself to understand the last day prophecy and we’ve got interesting things happening in the news these days. You’d be doing yourself a service by studying up a little bit on prophecy. 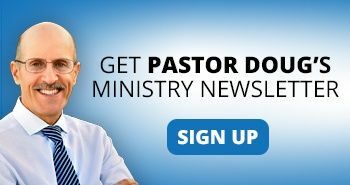 Pastor Jëan Ross: There is another website that we want to encourage folks to take a look at amazingfactskids.org. Pastor Doug: That’s right, special program coming September 12 and we’d like to encourage everybody, if you know anybody between the age of eight and twelve, they will want to be part of this. This is going to be a series of meetings that Pastor Ross and I are going to broadcast from Dallas, Texas. It will be bouncing off satellite on several networks and going around the world. And it’s a special series called Amazing Kids. And that website again is Amazing Facts Kids. And you’ll learn all about it there, you’ll see the interesting animated opener that we’ve got, the kids are really going to enjoy that too. Pastor Jëan Ross: Alright, going to the phone phones, Bryan is listening on the internet from New Mexico. Bryan, welcome to Bible Answers Live. Bryan: Yes, I have two questions. Do you mind if I ask them both? One of them is very easy. Pastor Jëan Ross: Alright, let’s take them one at a time. Bryan: Okay. The first one is, do you know of any good reliable scholarly books that give ample extra biblical evidences of Jesus’ life, death and resurrection, specifically the death and resurrection? Pastor Doug: Well, if you go to the writings of Josephus, the Antiquities of Flavius Josephus, I’ve seen quotes in his writings where he talks about Jesus, death and resurrection. He was a contemporary of Christ and that is definitely extra biblical because he was a Jewish historian and, you know, Jewish as a nation did not accept Jesus. So for Josephus to say, the quote-- I’ve read it many times, it’s something to effect “about this time there rose one name Jesus, a man if it be lawful to call him a man.” A doer of such deeds. And he goes and he described, “He died and rose again,” he doesn’t say that his followers claimed He rose again. He states it as a historical fact. So that’s one. There are others. But, you know, you can download a series of commentaries for free, if you go to the e-Sword website, esword.net. Bryan: Well, Pastor Doug, I’m really looking for a book that compiles, you know, all of the different people who mentioned in Jesus in certain ways. Pastor Doug: Well, it depends. Do you want people who lived during the time of Christ? There’s not that many. Pastor Doug: There are some but, you know, you’re talking about records that are two thousand years old, they are not as available. The whole library of Alexandria was burned since the time of Christ and they lost a lot of volumes there. But, you know, there’s some wonderful books on Christ that have references in them and that might save you a lot of work. The best classic I can recommend is called “Desire of Ages.” “The Desire of Ages” is a masterpiece on the life of Christ and there’s good references there. Bryan: Okay, alright. I’ll make sure to pick that one up. My next question is, whenever we pray for people, you know, like to get them converted or something say we want them to, you know, just get out of (Unintelligible) and turn to Christ, how is God not taking away their freewill and answering our prayers to get them converted? Pastor Doug: Well, first of all, because we pray for somebody one time doesn’t mean that God is obligated to change their heart. But what God does when we pray, He intervenes with two things. He can intervene--well, He can intervene with many things but two, more outstanding ones--He intervenes with His Holy Spirit impressing them. And the other thing the Lord does is providentially God can bring that person you’re praying for through circumstances that are more likely to generate a change of heart. Pastor Jëan Ross: You know, in many ways I think of it as sort of this conflict between good and evil. And if you like, there are certain ground rules in this battle. In other words, Satan is restricted in what he can do to the followers of Christ. And I think there’s this rule, God won’t allow him to physically take our life, we’re grateful for that. Remember the story of Job where Satan couldn’t touch Job unless God gave him permission to do so. And I think when someone prays on behalf of somebody else, it is in a sense giving God the ability to do more in revealing Himself to that person that He couldn’t do if we didn’t pray. It gives God the right if you’d like to extend the rules because somebody’s praying specifically on that person’s behalf. So there’s power in intercessory prayer. Bryan: I mean, he wouldn’t have to take away their freewill in order to-- I mean, in order for them to be converted. I mean, because they don’t say-- you know, for example, they don’t want to know Christ and well, I want this person to be converted and I pray for him, well, it doesn’t have to take away that freewill in order for them to be converted? Bryan: Or He would not answer that prayer? Pastor Doug: Well, you know what it’s like, is it possible for a mother and father to try to arrange a date between their son and some gal they wanted him to marry? They may not force him to fall in love with her but they can arrange circumstances that it’s going to be a lot more likely for them to fall in love. And so what God does is He can providentially and through the wooing of His spirit. He can intervene and hopefully, that person when they know God you’re not to really know God, is to love Him. Pastor Doug: So, hey, I hope that helps a little bit. We want to try and get some of the other callers lined up, Bryan. So I appreciate your question. Pastor Doug: And hope that helps. Pastor Jëan Ross: Next caller is Claude listening on the internet from Miami, Florida. Claude, welcome to the program. Claude: Good evening. My question is, I heard Satan and (inaudible 39:02) Christ in the day, right? Pastor Doug: Yes. Well, of course, there have been many false Christ’s but we’re lead to believe in the last days, Satan, himself is not going to relegate this masterpiece to one of his demons. He himself is going to seek to impersonate Christ and use all of his power to deceive the world. Claude: Alright now, well, when he comes he comes alone and start blessing people, what does he do? Does he leave, he still go on, still go on until the good and real Christ come back, or does he still wanted to disappear? Pastor Doug: Well, you know, there’s not a script in the Bible that tells exactly how Satan is going to do this. I’ll tell what the Bible does say and, Pastor Ross, our lesson on the second coming, doesn’t that talked about-- or is it the lesson on the devil also talks about him impersonating Christ? I think we’ve got two you might offer. But back to my statement, Claude, the Bible does tell us that Satan can use miracles. The Bible tells us in the Book of Job we just quoted he can bring fire down from heaven. The Bible tells us in 2nd Corinthians 11, that “Satan can appear as an angel or a messenger of light,” when the devil came to Jesus in the wilderness to tempt him, he probably did not look like, you know, a devil with pitchfork and horns. He probably looked like a messenger from heaven so he could deceive Christ. But how he’s going to do that and where he’s going to first appear? A lot of people speculated it would be Jerusalem or something prominent like that or Rome but the Bible doesn’t say that. Yeah, but he is going to pull off, I think, the masterpiece of deception. Pastor Jëan Ross: So if he’s going to deceive the whole world except for those who, you know, are faithful to God at the very end of time, it’s going to be a very powerful deception. Pastor Jëan Ross: Probably appear like Christ. Pastor Doug: And I bet the media will be involved. Pastor Jëan Ross: Yeah, absolutely, showing that around the world. We do have that study guide dealing with the subject of, well, the second coming but also, the origin of evil, “Did God Create the devil? Pastor Jëan Ross: And I think that will be a great study guide to look at, the numbers is 1-800-835-6747, you can ask for “Did GOD Create the Devil?” And we’ll be happy to send that out. Our next caller is Kendra, listening in KFIA from Sacramento, California. Kendra, welcome to the program. Pastor Doug: Hi. How can we help you? Kendra: Okay, I’m confused about Adam and Eve and the dinosaurs. Kendra: Okay, so, if Adam and Eve were on the earth on the sixth day, does that mean that the dinosaurs were before them or after them? Pastor Doug: Well, the Bible tells us that that the other animals, the land animals were made the same day that God made Adam and Eve. On the fifth day God made birds and the fish, the animals in the air and the animals in the water. On the sixth day, God made the land animals and then at the end of the sixth day, He made men and then women. And so, dinosaurs, you know, the way it’s portrayed sometimes in the media, we think of dinosaurs as a separate class of animals that lived in a different period but in reality, the dinosaurs lived at the same time that man live. They’re just big lizards, big reptiles. And the other thing people forget is, there’s almost as many bones of humungous mammals as that we find of big reptiles. So, you know, I’ve been in different parts of the world where there’s just huge fossils of sloths, and moose, and beavers and everything was much, much bigger and we’ve got some theories about that. But, yeah, the dinosaurs lived at the same time. Pastor Jëan Ross: By the way, Kendra, if you want to read in the Bible about a dinosaur, take a look at Job chapter 40; verse 17 through the verse 24. Pastor Jëan Ross: Where there’s giant animal is described as having tail like a cedar tree and each reeds, drinks a lot of water, and very interesting description. There’s no animal like that today. Pastor Doug: Big ole monstrous animal. Yeah. Pastor Jëan Ross: And many have thought that that quite possibly be the description of a dinosaur. Pastor Doug: You know, we have a magazine at Amazing Facts, Kendra. And you would really enjoy that because it’s got pictures, it’s kind of like a comic book but it’s a biblical one. And it talks about the dinosaurs and when they lived. And if you go to the Amazing Facts website, if your family can help you do that, you’ll see that magazine there. Pastor Jëan Ross: And also don’t forget about our amazing adventure program in September just for kids, you’ll love it. Pastor Doug: Alright. You take care, Kendra. Pastor Jëan Ross: Our next caller is Fay, listening on the internet from Pennsylvania. Fay, welcome to the program. Fay: Thank you. Good evening. Fay: I have a question that has been bothering me for a while. Fay: And it’s about the holidays, Leviticus 23? Fay: Where it says, “It shall be a statute forever throughout your generations in all your dwellings?” Shouldn’t we be doing this and if it says forever, should we still be doing these holidays? Pastor Doug: Well, we do in a sense. All of the holidays, the feast days of the Jews, at the cross of Christ there were shadows that pointed to the reality of Jesus and it tells us in the Bible that Christ is now our Passover. So, Passover was one of those feast days that was the last forever, right? Pastor Doug: But when we celebrate the Passover now, do we sacrifice lambs anymore? Fay: Well, no, I understand that part, the sacrificial part which done away with at the cross. Pastor Doug: Alright, so let’s pause right there. What you’ve just stated though is something changed from Leviticus 23 to the present, right? Fay: And also, in Isaiah 1:13 and 14, it sounds to me as though he’s saying the “New Moons, and Sabbaths, and the calling assemblies, I cannot away with,” that sounds to me as though he’s saying that he can’t do away with his holy days, is that what that means? Pastor Doug: No, actually, in Isaiah 1:13, it’s saying the opposite, the Lord is saying that He is full of their New Moons, Sabbaths and calling of assemblies, I cannot bear it anymore away with it. It’s iniquity, even the solemn meeting. He is saying, your New Moons and appointed feast my soul hate it. You got to read the next verse. Pastor Doug: Because they were going through the ceremonies but they weren’t converted. In other words, if we go through the rituals of the Bible and our hearts are not changed, we’re not saved by virtue of sacrifice, or Sabbaths, or any of the rituals. Pastor Jëan Ross: Just to add to that, the sacrifices will also spoken of has been a perpetual sign for the Jews, Leviticus 17:7 talks about the sacrifice has been throughout the generations, also Joshua 22; verse 28. So if the sacrifices are spoken of is being always been something forever for the Jewish people but it came to an end when Jesus died at the cross. It was fulfilled. We can also then come to the same understanding with reference to the holidays based upon Colossians chapter 2; verse 16. Pastor Doug: That’s a good answer. Did that make sense, Fay? Fay: No, not really because I’ve been going on over that too, Colossians 2:16. Pastor Doug: No, what Pastor Ross said before is-- and we don’t want to wear out everybody with this one question--but what Pastor Ross was saying before is we’ve already agreed the sacrifices of lambs, we don’t need to do that anymore. Pastor Doug: But yet in the Old Testament it said that was to be perpetual also, the same languages used about the sacrificing of lambs as it’s used about the days and so if we agree that the lambs part is done away with, then it’s safe to assume that the emphasis on the days has done away with. Christ, He kind of revolutionized what all that pointed to. So spiritually we do still celebrate the essence of the feast days, you know, can be seen in the whole plan of salvation. You know, what I’d like to recommend for Fay, Pastor Ross, is we’ve got this book by Pastor Joe Crews, it’s a classic and it’s called “Feast Days and Sabbaths.” “Feast Days and Sabbaths.” And we’ll be happy to send you a copy of that, Fay. And all you’ve got to do is asks for it, and I know there’s others who are probably wondering the same thing you’re wondering. Pastor Jëan Ross: …and Sabbaths,” and we’ll be happy to send that to you. Our next caller is Audrey listening on WOCG from Alabama. Audrey, welcome to the program. Pastor Doug: Is that Andrea? Pastor Jëan Ross: Oh, is that Andrea? Pastor Jëan Ross: Well, welcome, Andrea. Pastor Doug: We’re going to get Pastor Ross some LASIK surgery. Andrea: First I have a testimony. I was there when you were holding the prophecy code seminar. Pastor Doug: Oh, in Washington? Andrea: Well, I wasn’t in Washington but I was watching it in my church. Pastor Doug: Oh, on the satellite broadcast. Andrea: Yes. But it really changed my life and I just thank God for you and thank God for Pastor Ross too, I love his accent. Andrea: But my question is, what is Bible have to say about being involved in politics? Pastor Doug: Well, Jesus says, “Render unto Caesar, the things that are Caesars and unto God the things that are Gods. I don’t think it’s a sin for Christians to be involved in their society in which they live because the Lord wants us to be a light. He wants us to be a salt and to have influence. But we don’t want it to be our religion. Some people have. You know, we’re to render to God first place. Some people have made Caesar their God. They got too involved in government and the different parties and it become very emotionally driven by that, so it’s almost like it becomes an idle. But I do think Christians can safely be involved in politics. Praise the Lord for people like Joseph who was in the court of Pharaoh and Daniel, and Shadrach, Meshach, and Abednego who were in the government of Babylon and others, Mordechai. So God raises up people and has them in positions of politics and, you know, some Christians are called into that venue. I don’t know if I’m answering specifically what you’re asking though. Pastor Doug: Well, I think absolutely. I think in America--and the laws in different countries vary--but I think in America especially when it comes to things about religious freedom, you know, if Christians and believers don’t vote, then they can almost be sure that devil will use that weakness to remove our freedom, to worship. And so I’d say, you know, by all means, we should preserve what’s right by our voice and influence. But then, of course, there are those who, like I said, I’ve met some Christians where it’s like politics first, Jesus second, you know what I mean? Pastor Doug: Yeah, and we want to guard against that. Pastor Doug: Okay. (Laughing) Alright, we appreciate your question, Andrea. Pastor Jëan Ross: Our next caller is Will listening in WOCG from Huntsville, Alabama. Pastor Jëan Ross: Will, you’re on. Pastor Doug: I don’t know if Will knows that we were talking to him. Pastor Jëan Ross: Will, are you there? Pastor Doug: No, there is another conversation going on. I think while they were waiting, something else came up. Pastor Jëan Ross: Alright, well, let’s try line number eight, Sheryl listening on the internet from Pennsylvania, welcome to the program. Pastor Doug: Hi. Welcome, Sheryl. Sheryl: Okay. My question is regarding tithing. I am my mother’s power of attorney for her finances. Is it okay to tithe her money? Pastor Doug: …when she was in health, is she still producing income from that money? Sheryl: Yes, she has income. Pastor Doug: That means there might be some interest income or something. So if it was your mother’s practice and you’re not taking care of mom and have a power of attorney, I would think you’d want to honor what her custom was. So that’s one part of that question I think you’re asking. Is that really the heart of what you’re asking? Sheryl: Well, I guess I never thought of it that way. Okay. Pastor Doug: Or are you thinking that in the event of your mother’s demise are you to pay tithe on the estate? Sheryl: Oh no, it’s not that. Sheryl: I have her living with me now. Sheryl: And I take care of her and my mother had a stroke and she’s bed-ridden. She doesn’t talk or anything. Pastor Doug: So you’re helping her with her affairs? Sheryl: So I take care of her. Pastor Doug: Yeah, I’d say whatever her practice was in her, you know, in health and vitality, you would want to honor her by continuing what her wishes were. Sheryl: Okay. Now another thing, my mother, you know, is Baptist, okay. And I’m not. If tithes it, does it matter? Pastor Doug: Well, I’ll go back to that same statement. I would say that as long as your mom is still with us, then you would want to honor with her wishes would be because when she gives you power of attorney, she’s basically saying I trust you to do what you know I would want to do. And so if it was her custom to pay her tithe or offerings to the Baptist faith, I would honor that. Okay? Pastor Doug: Alright. Yeah, and that’s what it means to be a fiduciary for somebody, they’re trusting you to, you know, carry out their wishes and what their will would be. And sometimes people, while they’re still alive, they need to handles things over to someone to help them and I would do everything I could to honor that. You know, bless you for your faithfulness in that. Thank you, Sheryl. Appreciate your question. I hope that helps a little bit. We do have that lesson called “In God We Trust,” that deals specifically with some of these tithing questions. Pastor Jëan Ross: Again, the number is 1-800-835-6747, ask for the study guide, “In God We Trust” and we’ll be happy to send that to you. Pastor Doug: Do you want to see if Will has tune in? We can try him again. Pastor Jëan Ross: Let’s see if Will is there. Will, are you there from Huntsville, Alabama? Pastor Doug: Will, you’re on the air, can you hear us? Pastor Doug: Yes, we try to get you before. Your question? Will: Okay. I was calling to find out about once you’re saved while you’re always saved, can you lose your salvation? Pastor Doug: Alright. Good question. The Bible teach us that salvation is a choice that once we come to the Lord, the Lord will accept us, He’ll receive us, and He’ll never let go of us. But that doesn’t mean we lose our freedom. We can still choose to turn away and of course, there are examples in the Bible of people who were at one point filled with the Spirit but they rebelled and they pulled themselves away from the Lord. God did not let go of them, King Saul was chosen by the Lord filled with the Spirit, even called the prophet. And he just hardened his hearten and turned away. You’ve got Balaam who was a prophet of God, who then hardened his heart because of greed, as did Judas because of greed, he sold the Lord. Judas was out there performing miracles and preaching with the other twelve apostles, or the other eleven. Pastor Doug: That’s right. Paul realized that possibility was there even after he was out preaching. What is our book that we talked about? “Can a Saved Man Be Lost?” Is that it? Pastor Jëan Ross: Yes, that’s a great book. Pastor Jëan Ross: The number is 1-800-835-6747, ask for the book, “Can a Saved Man Be Lost?” We’ll be happy to send that to you. Well, let’s see if we can squeeze in one more. Pastor Jëan Ross: Johnson is listening on WMCA from Brooklyn, New York. Johnson, welcome to the program. Johnson: Hello, Pastor Doug Batchelor. Pastor Doug: Hi, Johnson. We’ve got about two minutes for your question, so help us help you. Johnson: How many characteristics does God have? Pastor Doug: How many characteristics does God have? Well, there are probably infinite but if you go to Revelation it talks about the seven Spirits of God and some believe that might be base on Isaiah chapter 11--if you’ve got your Bible with you--Isaiah 11; verse 2, and it talks about, “The spirit of the Lord shall rest upon Him, the spirit of wisdom, and understanding, the spirit of counsel and might, the spirit of knowledge and the fear of the Lord.” But that doesn’t really sum up all of the characteristics of God. I mean, God is good. God is gracious. God is kind. God is long-suffering. That passage in Exodus where he reveals His character to Moses. Do you remember that verse? Where, you know, He reveals the glory of God in His name. So the different names of God, Johnson, talk about the different facets of God’s character which are all wonderful. Oh, friends, we wish we had more time to talk about God and we invite you to go to the Amazing Facts website. It’s been newly designed, if you haven’t been there lately, you need to go take a look. A lot of things to enjoy. Also, amazingfacts.tv, you could see all these Amazing Facts programs, twenty-four hours a day. Some people just leave it running on their computer so they could be edified in the Lord all round the clock, amazingfacts.tv. And take advantage of the other resources. Remember, we’re here by faith and we’d love to hear from you. Jesus is the truth. We’ll talk to you next week.